Over the last two weeks, the price of the euro has weakened against the New Zealand dollar. Along the way, several important levels have been broken. 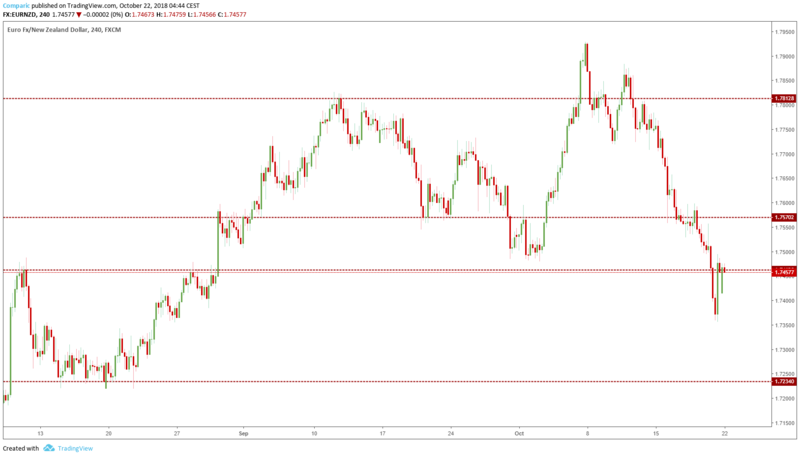 On Friday EURNZD broke through support at 1.7460. Currently, this level is retested from below. The future sentiment on this couple depends on it. Support at 1.7460 in recent months has stopped the movement of EURNZD several times. In August, it acted twice as resistance on this pair, in this area, the supply rally stopped at the turn of September and October. If the retest of this level turns out to be effective, the next target for bears will be around 1.7230. This level was a strong support in August. If we return to growth, we have to wait for the resistance to be overcome at 1.7570, then the way for the bulls will open.